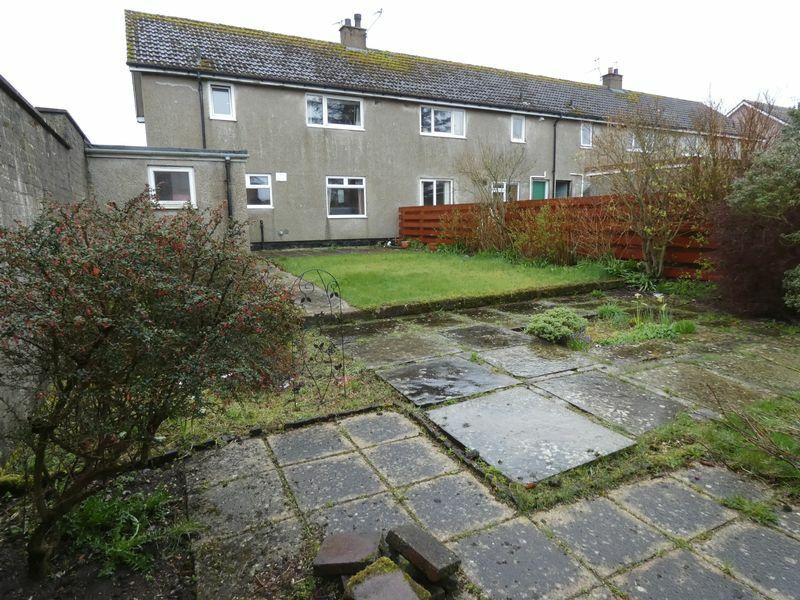 A 3 bedroom, end of terrace house in the sought after Pennyland area of Thurso. 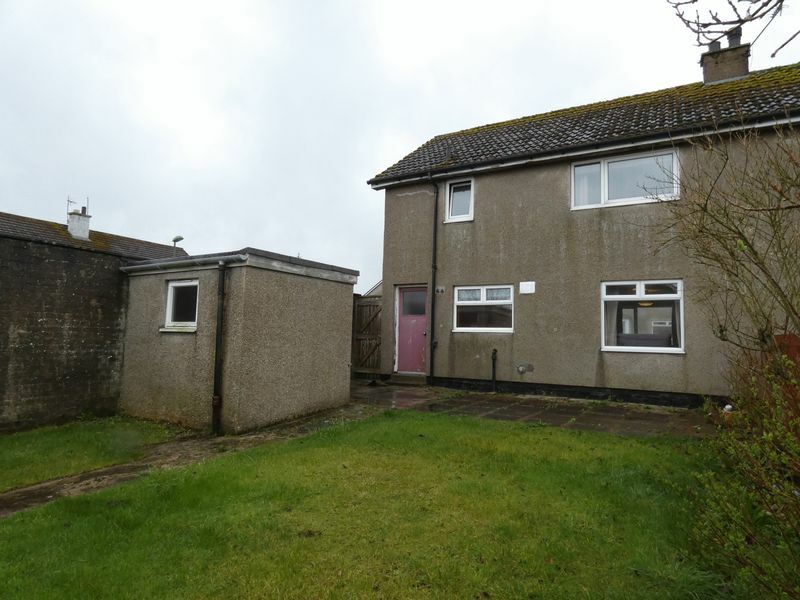 The property is close to the local primary school, shops, dental and doctors surgeries, train station and seafront. 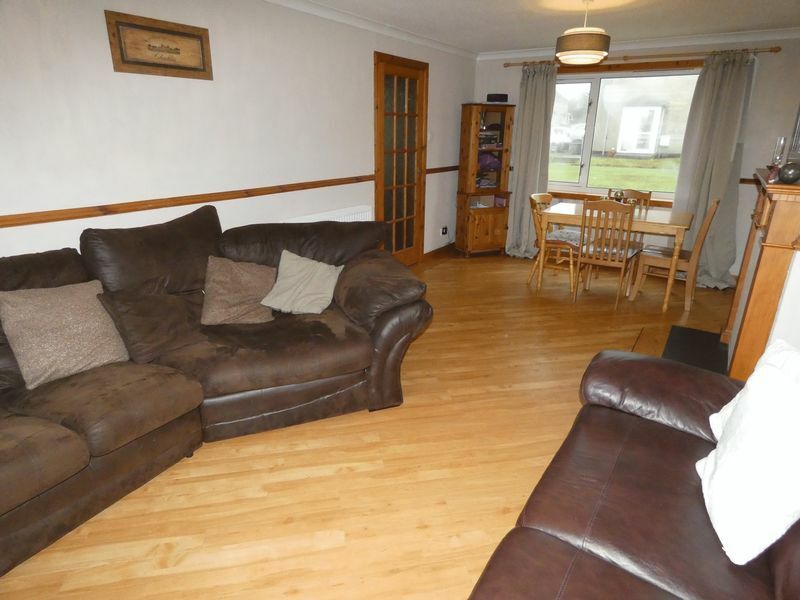 The ground floor comprises of an entrance porch, hall, lounge/diner, kitchen and rear lobby. 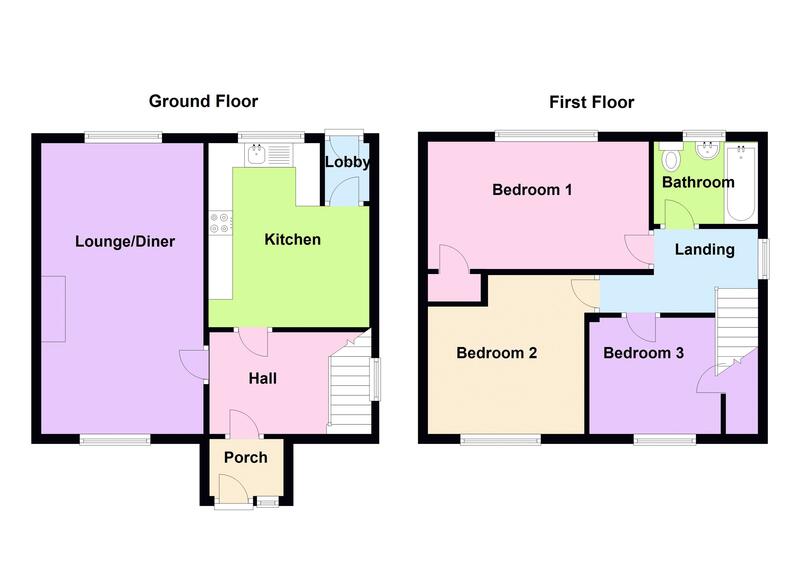 The first floor comprises of 3 bedrooms, bathroom and landing. 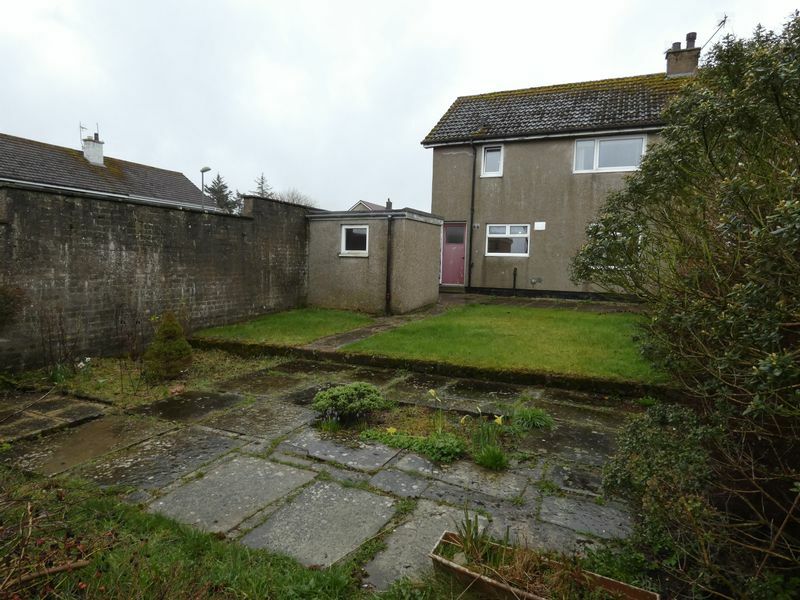 Outside is an open plan front garden that is laid to lawn and a secure rear garden with a patio, block shed and is laid to lawn. 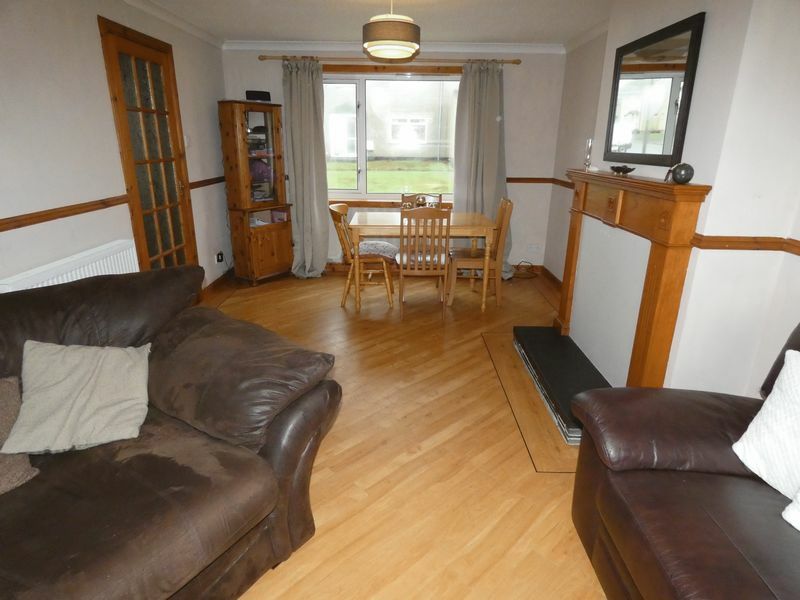 Gas central heating throughout. 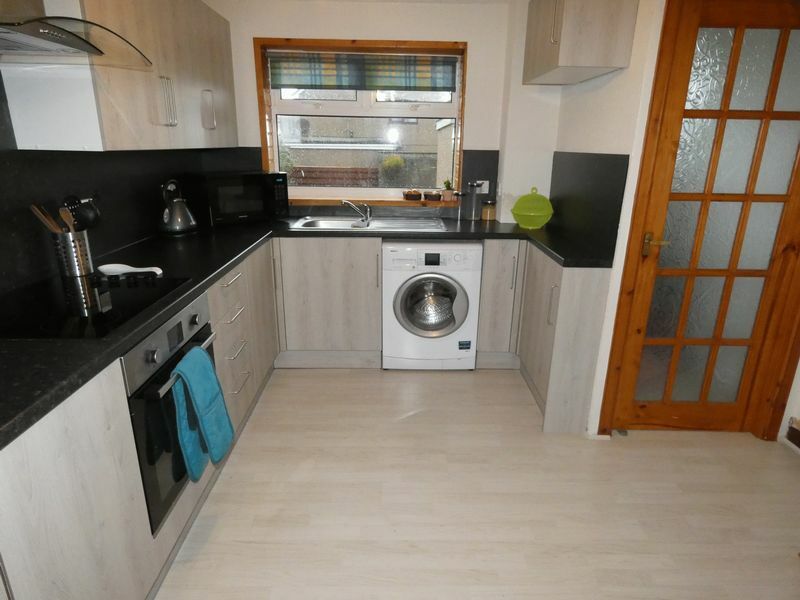 Energy efficiency rating C and council tax band A. 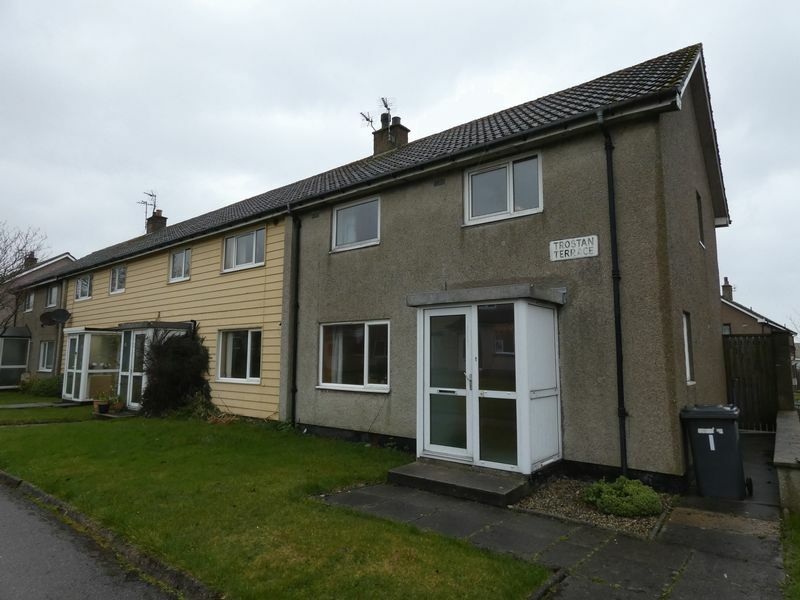 Enter via a double glazed entrance porch that has a fully glazed front door and floor to ceiling window. 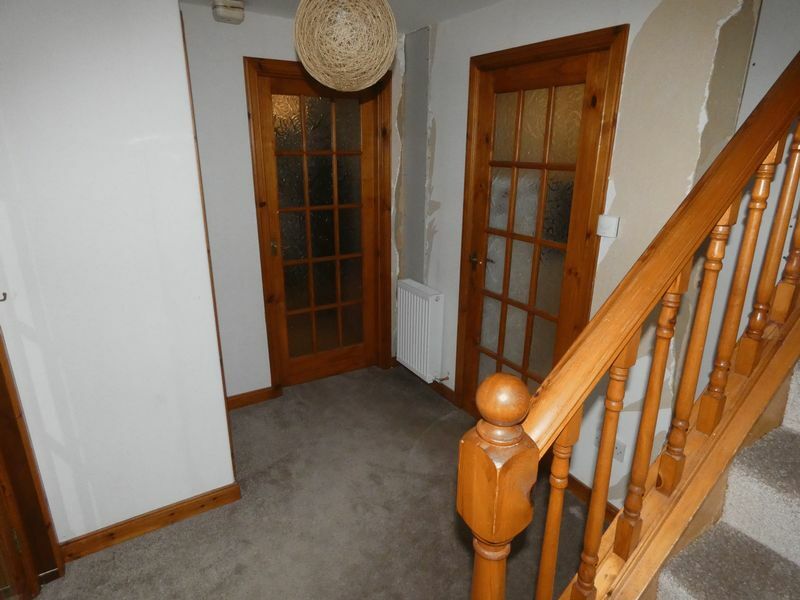 This leads you into the carpeted hallway that has access to the kitchen, lounge/diner and stairs to the first floor landing. Enter the spacious/lounge diner via a glass panelled door. 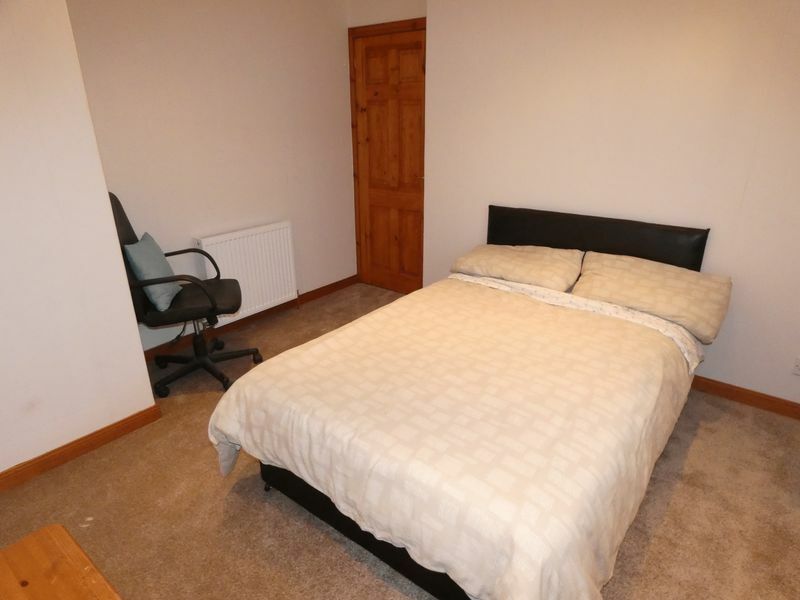 The room is neutrally decorated and has laminate flooring in a wood plank design and dual double glazed windows overlooking the front and rear gardens that gives plenty of natural light to the room. A sealed fireplace has an attractive wood surround providing the room a pleasant focal point. 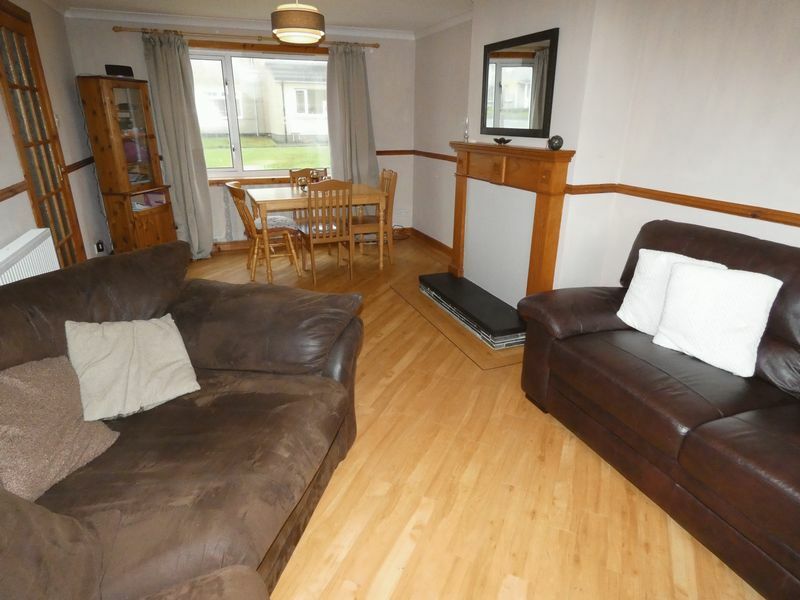 There is space for a 2 and 3 seater sofa, table and seating for 6 people. The kitchen has a glass panelled door from the hall and another going into the lobby plus a large window looking out into the rear garden. 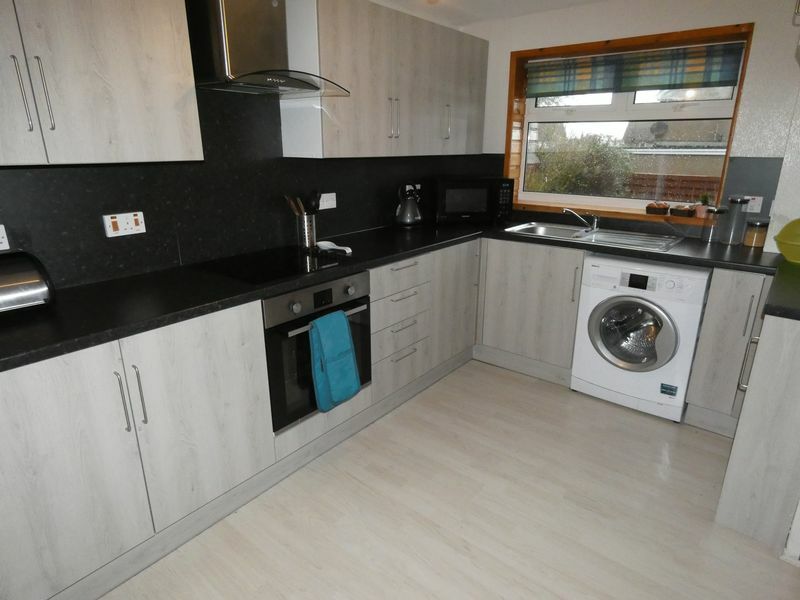 The flooring is laminate and there is a newly fitted Howden kitchen with wall and floor units, dark grey worktops and splash back. 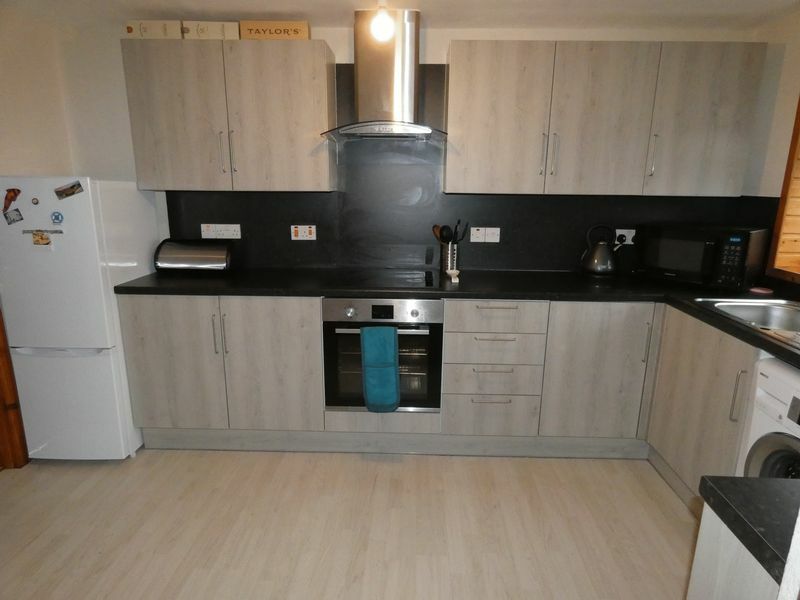 It incorporates an integrated electric hob, oven, extractor hood and a free standing fridge freezer and washing machine that are included in the sale. 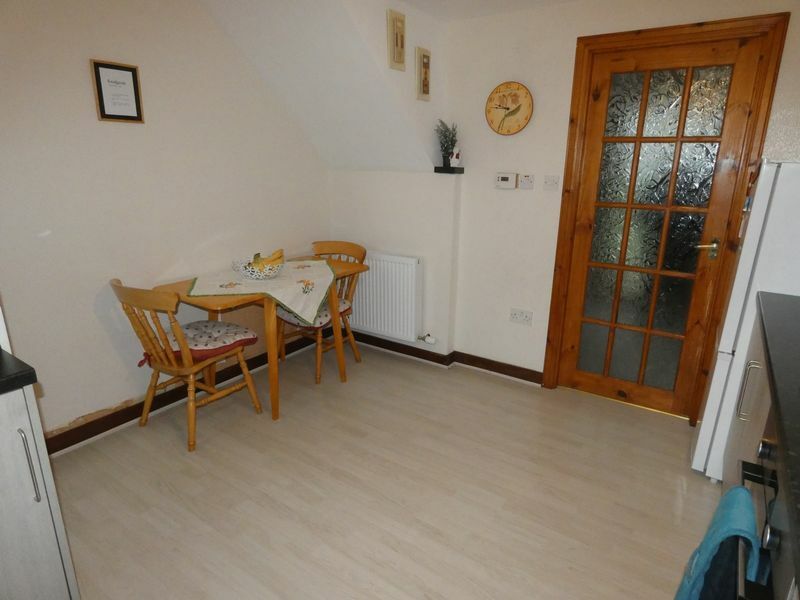 There is space for a table and seating for 4 people. The small rear lobby has a half glazed door leading to the rear garden. From the hall is a flight of carpeted stairs with 2 windows in the stairwell overlooking the side of the property. 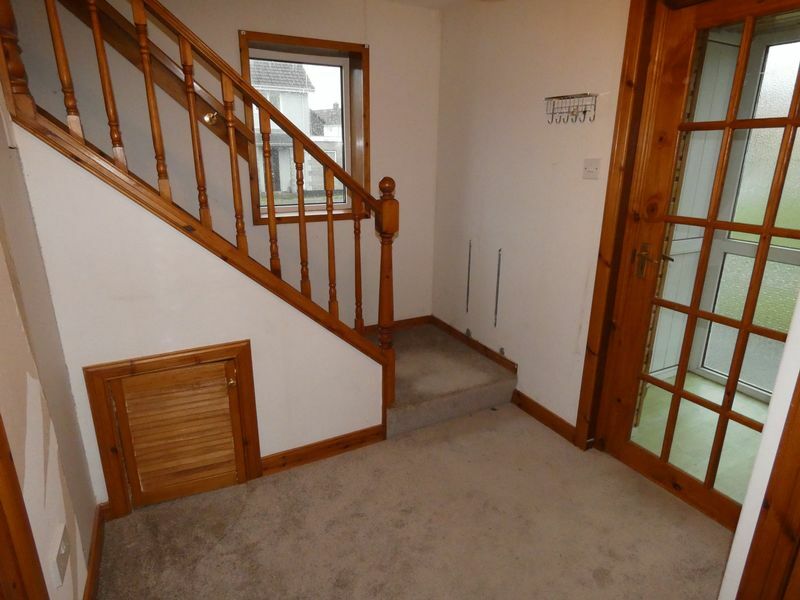 The carpeted landing has doors leading to the 3 bedrooms and the bathroom. 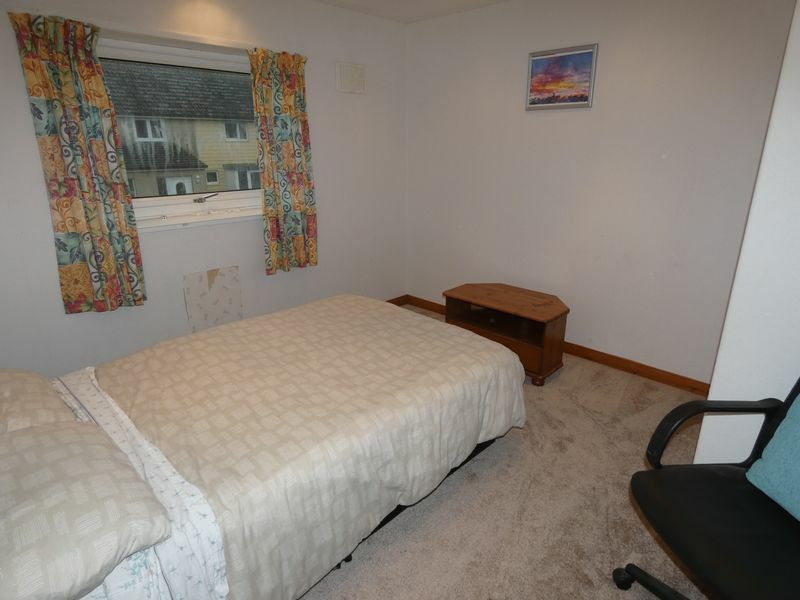 Bedroom 1 is carpeted and has a large double glazed window overlooking the rear garden. 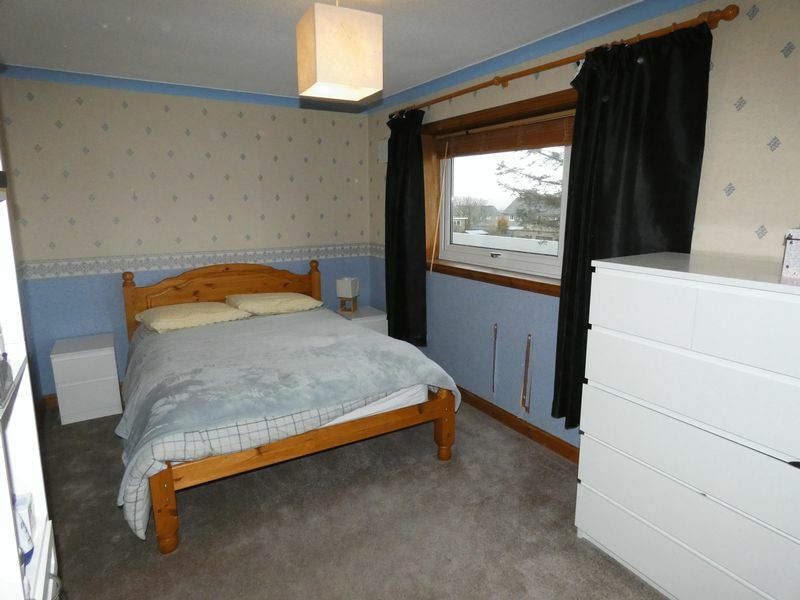 It has a built in wardrobe allowing plenty of space for a double bed, 2 bedside tables, chest of drawers and a dressing table. 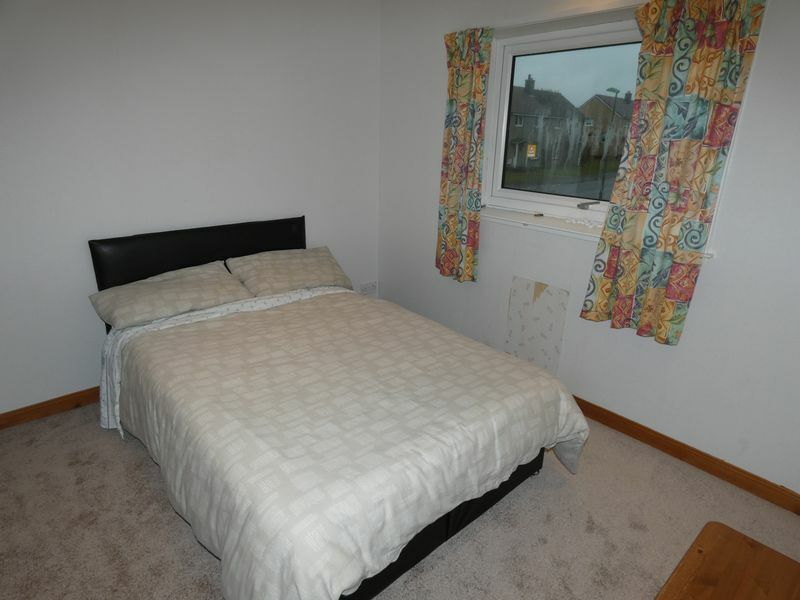 Bedroom 2 is a well proportioned room and is also carpeted with a double glazed window overlooking the front of the property. 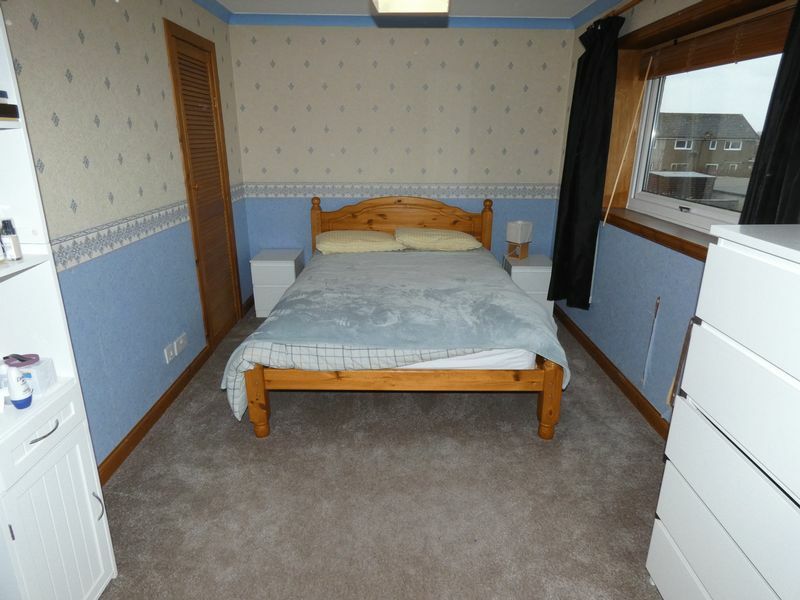 It has inset ceiling lights and there is space for a double bed, 2 bedside tables, wardrobe and chest of drawers. 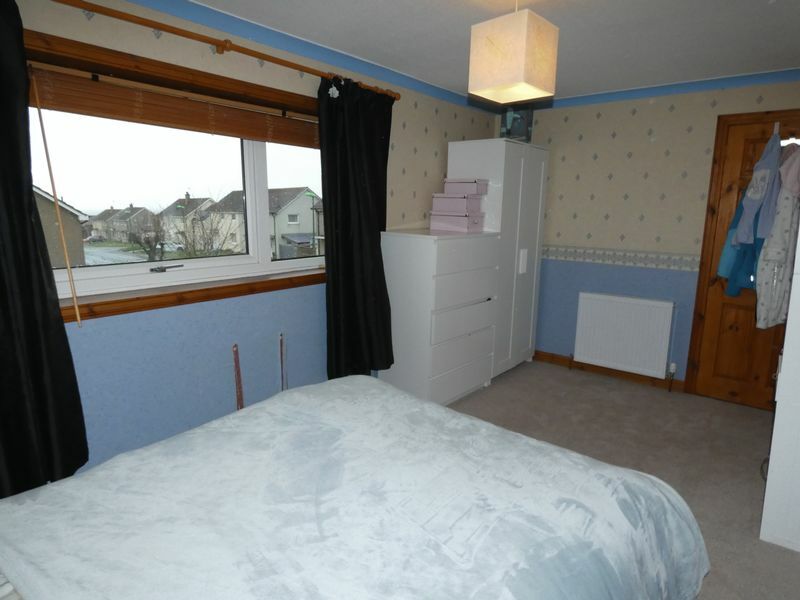 Bedroom 3 also has a window overlooking the front garden and has a floor unit cupboard stretching across the width of the room forming a built in single bed unit above. This allows for space for a wardrobe and chest of drawers. The bathroom has been recently refitted in October 2018 with a white porcelain 3 piece suite with an over bath Triton Avena electric shower. A frosted window overlooks the rear of the property allowing ventilation and light to the well proportioned room. 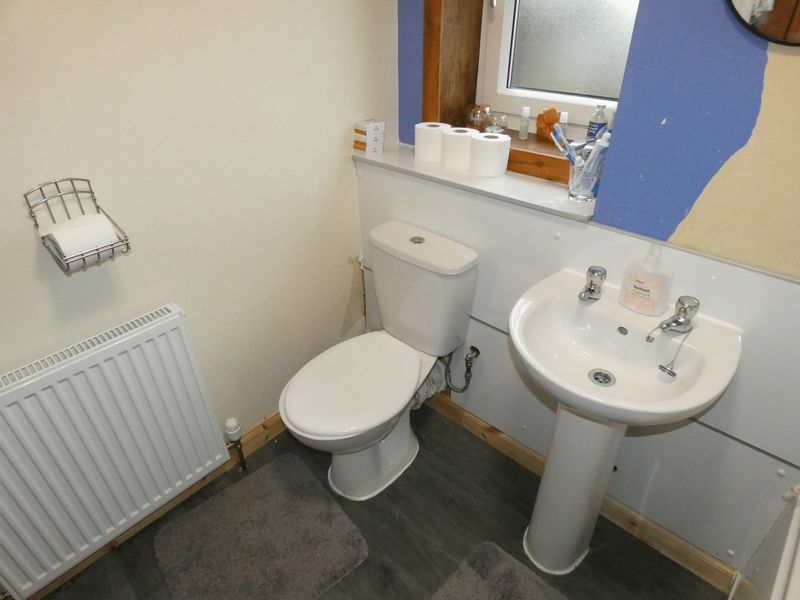 A neutral wet wall around the toilet, hand basin and bath and a grey vinyl floor complete the room. 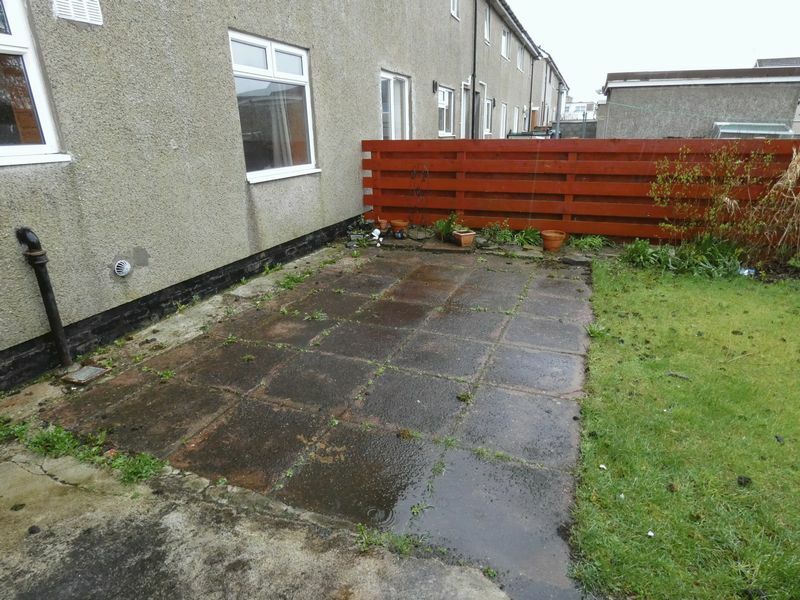 Outside is a secure rear garden that has a paved patio and lawn area. 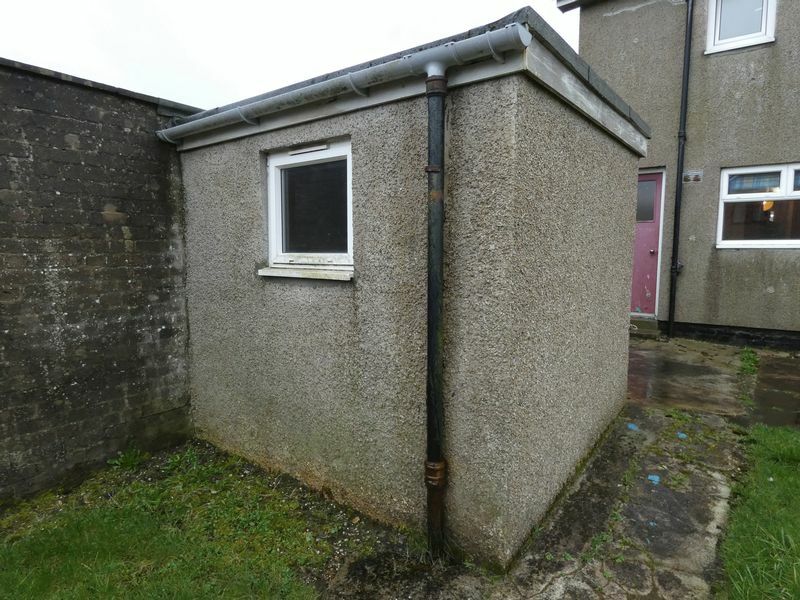 A block construction shed is to one side of the garden. 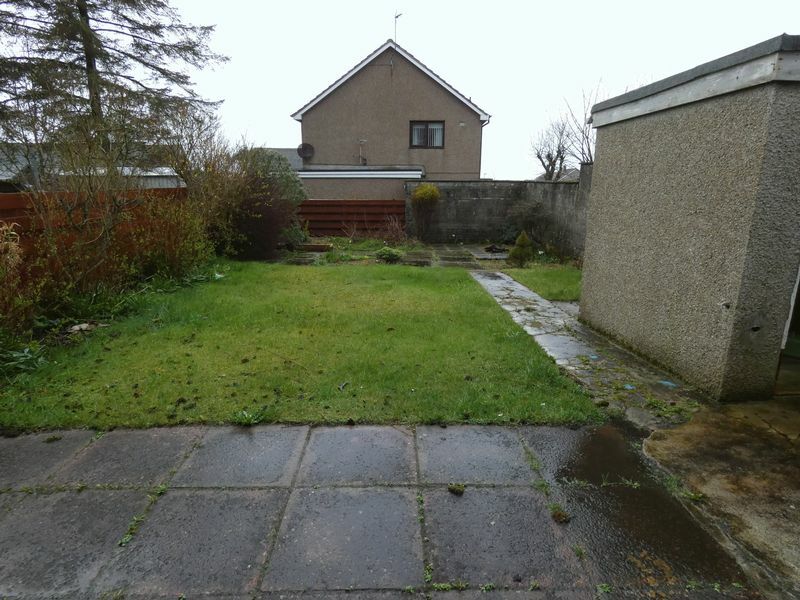 The front garden is open plan and has a path to the porch door and another running along the side of the property to the side garden gate. All blinds, curtains, carpets and white goods are included in the sale. At its longest and widest.